This is our thirteenth weekly round-up of news and views relating to “blasphemy” accusations, prosecutions and related outrages. 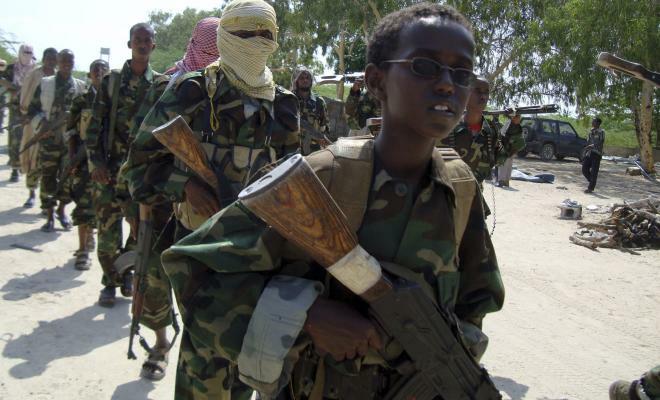 An al-Shabab court said the man, identified as Mohamud Mursal Muse, confessed to insulting the prophet in the town of Jamame, 30 kilometers north of Kismayo. An audio recording of an al-Shabab judge obtained by VOA’s Somali Service says the court verified the man was mentally fit. The judge said anyone who insults the Prophet Muhammad or Allah will face a punishment of death. The court did not give further details about the alleged insult. Al-Shabab media says the man was executed by firing squad outside the town of Jamame. Recent Al-Shabab violence, in the name of trying to overthrow the government and establish an Islamic state, includes Kenya’s Garissa University College massacre, killing 148 people, and a string of suicide bomb attacks this week, including a bomb targeting a minibus carrying United Nations Children’s Fund workers and killing at least seven people. 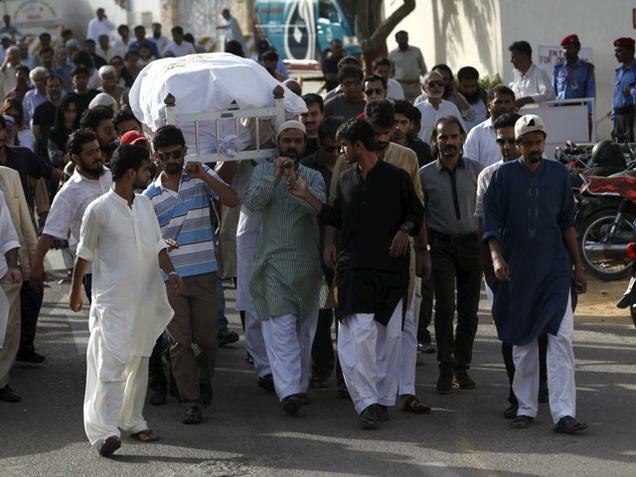 In Pakistan, social activist Sabeen Mahmud was gunned down in the street. She had just been running a meeting on “Unsilencing Balochistan”, but it’s unclear which of her many liberal and rights-based activities, including activism for free expression in the face of “blasphemy” threats, that was the proximate rationale for her murder. Ms. Mahmud had become famous for organising Pakistan’s first “hackathon” to campaign for more transparency in government. But the threat to her life became more apparent after she challenged religious extremist parties for their ban on Valentine’s Day celebrations with a campaign called “Pyaar Hone Dey” (Let love happen), fought for minorities with a hashtag campaign called Pakistanforall and invited blasphemy charges when she protested against the ban on Facebook after copies of an allegedly blasphemous film were circulated on it. In Egypt, already-imprisoned journalist Beshoy Armia faces additional charges for “blasphemy”, relating to his conversion to Christianity over seven years ago, his defence lawyer has said. …are claimed to be a legal complaint submitted by two lawyers who maintain that the manner in which Armia converted to Christianity from Islam was blasphemous and “insulting to religion”. Since December, Armia has been held pending investigations before a court date. 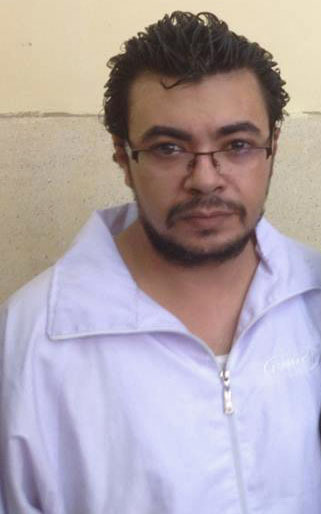 According to Ghorbrial [his lawyer], State Security intend to keep him until 10 May, the maximum six-month period they are legally entitled to before he should be referred to court. Armia converted from Islam to Christianity in 2007, however the court refused to have his conversion and change of name reflected on his national identification card, Ghobrial said. It is believed that a public campaign he launched to have his new name and religion recognised forms the basis of the new legal complaint. Lawyer Ghobrial told Daily News Egypt that in both cases, Armia’s Christian religion and conversion were a key element in his unfair treatment. In Armia’s initial case, the first item the arresting officer wrote in the report was: “I was informed that a convert came to the city of Minya”. Ghobrial states Armia’s conversion played a huge role in his sentencing, “when this kind of thing is written in your report it works against you”. Armia was also initially charged in 2013 with “endangering national security” and “portraying national security as weak to an international audience” but was acquitted of the charges. However, his lawyer is still appealing with Egypt’s Prosecutor General to revoke the original conviction of “spreading false news”. He maintains that it is incorrect Armia should be acquitted of the two security charges but be convicted of the third as they relied on the same legal basis. “During the reign of the Muslim Brotherhood, we did not witness such level of unfairness. All journalists filmed and reported the clashes that the country witnessed after the ouster of Morsi, and none of them were charged with inciting sectarian strife,” he said. The writers’ freedom of expression organization, PEN America, suffered from writers’ block this week, as a number of its own writers’ failed to stick up for freedom of expression. Several members objected publicly to an award for “courage” to be given to the staff of Charlie Hebdo. Who, let’s just remind ourselves, were mostly murdered in January for publishing satire. 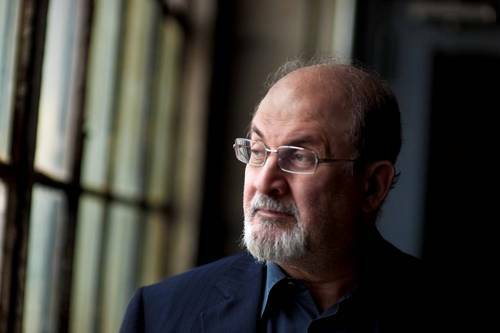 Salman Rushdie led the counter-criticism, tweeting that the PEN-objectors were “Six Authors in Search of a bit of Character” – as well as “pussies”, a term for which he later expressed regret. But then more writers joined the first writers in protest. So Richard Dawkins waded in tweeting “Appeasers of Hebdo murderers. If motive is physical fear, OK. Contemptible if you think religion deserves free pass.” While others argued that “Shaming writers for not supporting Charlie Hebdo’s PEN award is actually anti-free speech“! On a visit to Pakistan, the new US Ambassador for International Religious Freedom, David Saperstein, discussed how improving ‘religious freedom’ would promote greater bilateral relations, including raising the issue of the “abuse” of blasphemy laws, stressing their impact particular on minorities (but not, it would appear, making any kind of call for their abolition). In meetings with Pakistani government officials… Ambassador Saperstein expressed concerns about violent attacks against members of religious minorities, the application of blasphemy laws, and other forms of discrimination on the basis of religion. Ambassador Saperstein encouraged the government to protect members of religious minorities and their places of worship, implement due process measures to curb the frequent abuse of blasphemy laws, and fully implement the June 2014 Pakistani Supreme Court order on the rights of members of religious minorities under Pakistan’s constitution and international commitments. Legal adviser Reema Omer critiques the Pakistan judiciary, both for its internal biases and the pressure heaved upon it from outside. 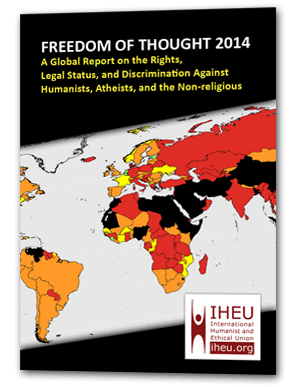 In particular she highlights the threats and injustices around “blasphemy” trials. Judges who hear blasphemy cases are often harassed and threatened to convict the suspects. Some judges have reported receiving letters and phone calls warning them of attacks against themselves and their families if defendants in blasphemy cases are acquitted. Where hearings are public, courtrooms are often packed with hostile crowds, chanting slogans against the accused. Often, these crowds are linked to organised Islamist groups. Recently, Justice Pervez Ali Shah, who presided over the trial in which Mumtaz Qadri was convicted for the murder of Punjab governor, Salmaan Taseer, was forced to leave the country after getting death threats. Mumtaz Qadri confessed he killed Taseer as he be­­lieved the governor had defamed the Prophet (PBUH). In 1997, death threats against Justice Arif Iqbal Bhatti were realised: he was killed, two years after he had presided over the trial which resulted in the acquittal of two accused persons in a blasphemy case. …The vague and overbroad wording of Section 295 (c) of the PPC, which criminalises direct or indirect defiling of “the sacred name of the Holy Prophet”, has, some observers have noted, allowed religious leanings and personal predilections to be reflected at times in judgements, calling into question the impartiality of some judges. Defence lawyers in blasphemy cases report that judges, particularly in trial courts, can appear to act more like aggrieved parties instead of neutral arbiters. According to them, such judges do not attempt to conceal their sympathy towards the complainant and their disapproval of the defendant, frequently expressing their horror at the alleged blasphemous comments made by the accused. In UK news, there’s further thoughts on the spread of the spread of Sikh “blasphemy” protests to the UK in the Nanak Shah Fakir fandango, and our affiliate partner the National Secular Society laments that there isn’t a bit more outrage at some of the religious mollycoddling in UK universities. It should be politically toxic, publicly excruciating, there should be protests, and mass disruption to campuses when universities censor blasphemy. Where is the outrage? The censors and reactionaries are at it again. The most recent case came from Bath. A mild piece of student comedy was excised by a Student Union and the university chaplaincy – because it *mentioned* Mohammed, and teased Jesus. Students were “unofficially” threatened with disciplinary action if they went ahead with their performance.